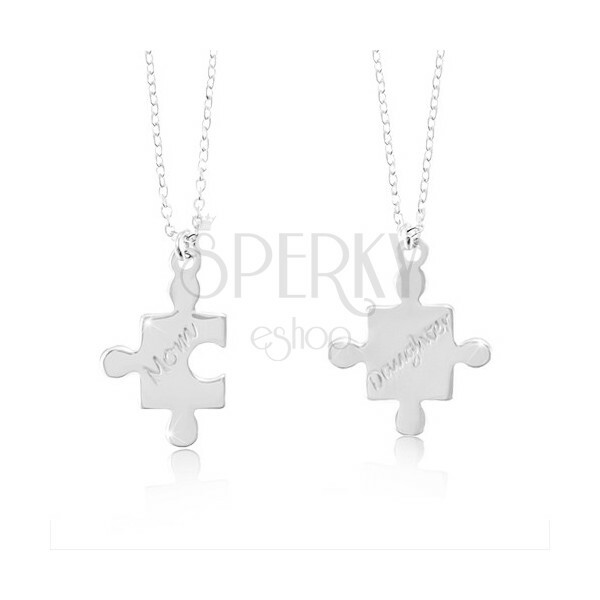 Two 925 silver necklaces, chains of tiny oval rings, puzzle pieces for mom and daughter. 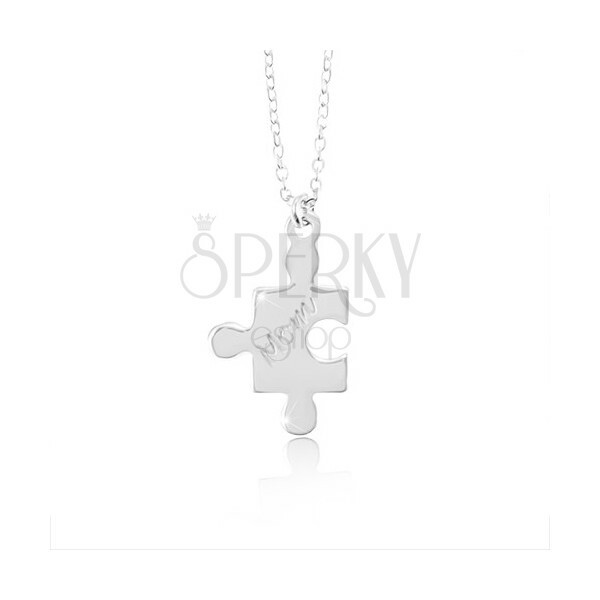 925 silver necklaces consist of two chains with upright connected oval rings and shiny flat pendants. 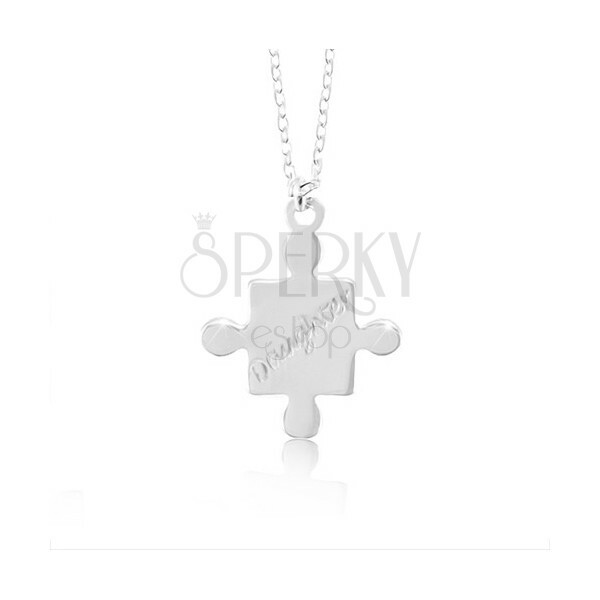 Both pendants have the form of puzzle pieces. 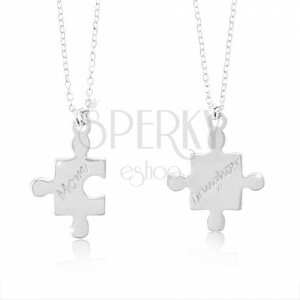 On one is engraved an inscription "Mom" and on the second "Daugher". 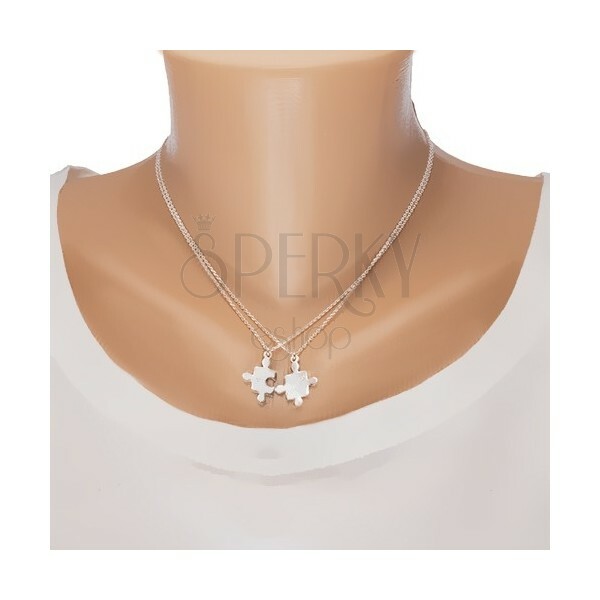 The earrings have lobster clasp fastening.